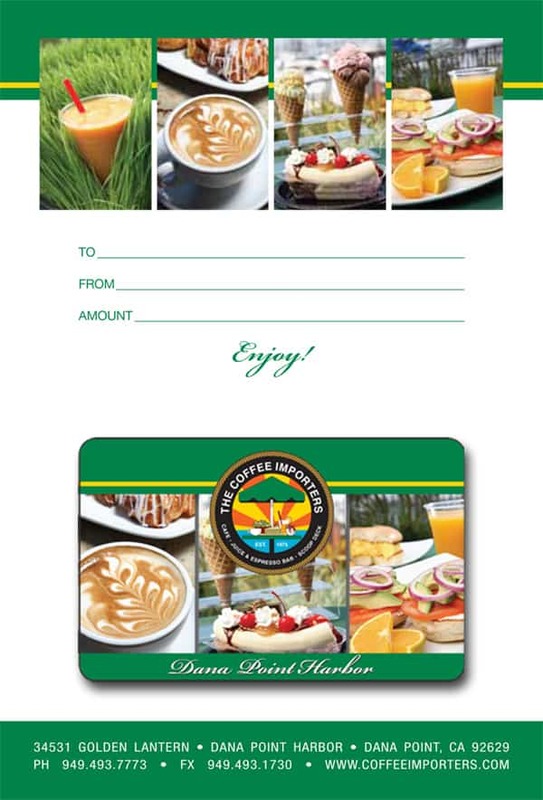 On your next visit to the Dana Point Harbor, be sure to drop by The Coffee Importers to purchase a gift card for a friend. The Coffee Importers also sells and ships fresh roasted coffee beans from around the world. For those of you who demand a great morning cup of coffee but can't visit us in the harbor, we will deliver your favorite coffee beans to your door!